NEWPORT BEACH, Calif./SANTIAGO – Albemarle Corp's claim to have developed a unique process that would more than triple its lithium production from Chile's Atacama Desert without using more water is drawing increased scrutiny from regulators and investors pushing for more details. The development could help Albemarle cement its position as the world's largest lithium company, just as global demand for the light metal is spiking for use in batteries that power electric vehicles and consumer goods. If the extraction process proves less than advertised, Albemarle risks ceding its crown as the world's biggest lithium producer to smaller rivals. The lack of clarity over the issue prompted Chile's nuclear commission, which oversees the sale and export of lithium in Chile, to deny Albemarle's request to increase its production quota for the white metal. The agency says the company has yet to explain how its technology will allow it to extract more lithium from the same amount of brine in the world's driest desert. Albemarle has been reluctant to provide specific details of the new process first announced in September 2017. The Chilean Nuclear Energy Commission (CCHEN) began asking last March for specifics on the process. Albemarle says it "is preparing a revised request addressing CCHEN's concerns, which are of a technical nature" and that it expects to ultimately receive approval to produce more lithium. Asked by Reuters in late October for more concrete details on the new technology, Eric Norris, head of Albemarle's lithium division, said the new process was "very efficient and it's obviously very sustainable" but gave few other specific details. "It's likely some process or technology where you don't lose lithium to the salts that evaporate out of the ponds," said Robert Baylis, a lithium analyst with Roskill. Norris said Albemarle would spend "hundreds of millions of dollars" to build a plant in the Atacama that would further refine brine concentrate to increase the amount of lithium recovered to 80 percent, up from "about half" today. Some industry analysts say the current lithium recovery figure is lower, around 30 percent. Norris also said the company was spending $1 billion in Chile, its largest area of operations, and hiring more than 1,700 people. But he offered no timeline for the spending and hiring. "I don't know if they're doing anything proprietary or revolutionary," said David Deak, an independent battery industry consultant and former lithium buyer for electric carmarker Tesla Inc. "It's unclear really what Albemarle has here, and what it means in terms of water usage." That usage is closely watched by Chilean regulators, despite the $100 million in royalties the country collects annually from Albemarle, due to concerns about water and brine levels in the Atacama. Albemarle entered Chile as part of its 2015 buyout of smaller rival Rockwood Holdings, inheriting access to massive lithium reserves. The company's lithium process, which relies heavily on evaporation ponds, was designed to extract potash fertilizer from salts, with lithium only as a by-product. Tweaking that technology to boost lithium recovery has long been an obsession of Albemarle and SQM. Indeed, rivals in Argentina, including Livent Corp, have developed methods that allow for nearly all lithium in brine to be recovered, a step made possible in part by the different chemical composition of Argentine brine. Norris said that Albemarle's process is not the same as Livent's, without elaborating. Livent, for its part, believes there may be some crossover. In Chile, Albemarle has repeatedly assured regulators that it is now capable of sharply increasing the amount of lithium it can extract from brine, according to documents obtained by Reuters via a Chilean freedom of information request. 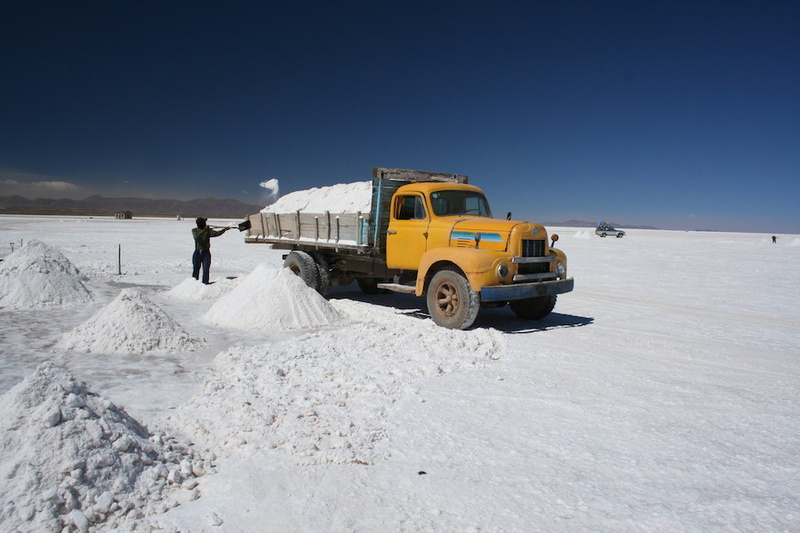 "The modification is made possible because Albemarle has developed a sustainable technology that allows us to increase the efficiency of our processes in the Salar de Atacama without using more brine or water, and as a consequence, produce more tons of lithium carbonate," Stephen Elgueta, Albemarle's Chilean manager, wrote to nuclear agency CCHEN on March 23. On May 3, CCHEN asked Albemarle to provide "details with respect to the technology that would enable the increase." The following month, three executives from Albemarle met with CCHEN director Patricio Aguilera at Santiago's La Reina Center for Nuclear Studies. According to Chile's lobbyist transparency website, Albemarle presented its production projections through 2044 during the hour-long June meeting, as well as "some process improvements it is implementing." But officials from CCHEN remained unconvinced. "The details provided … during the meeting are insufficient," wrote Aguilera on June 20, adding that the efficiency improvements touted by Albemarle in the meeting only "justified a percentage of the total [increase in quota]" requested by the company. Albemarle provided no more information to CCHEN during the nearly three months that followed, according to Chilean regulatory filings. On Sept. 12, CCHEN formally rejected Albemarle's March request to increase its quota to sell lithium outside the country. The agency said in a resolution that the miner had failed to answer questions about how the "technology would permit the increase in efficiency." "There's questions across industry about what exactly Albemarle has actually developed," said Chris Berry, an independent lithium analyst based in New York.